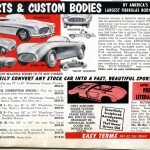 ← Devin Brochure – A Terrific Approach to Building One Impressive Sports Car! This is the First Reference to the El Morocco – It Appeared in the Spring 1959 Almquist Catalog and is a Highly Stylized Drawing. Pretty Cool Though for 1959. 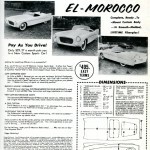 That’s the summary shown on the Almquist El Morocco brochure from 1959 and who wouldn’t be interested in such a car. If that’s what it’s like – I want to buy two! And perhaps you will too once you review today’s story. Let’s discuss the little known “El Morocco” by Almquist Engineering of Milford Pennsylvania. I first heard of it directly from Ed and Marion Almquist. Rick D’Louhy and I were on one of our epic adventures across the nation – surprising legendary fiberglass builders and designers with visits – from coast to coast (be careful out there gang…Rick and I could show up at any time. And thanks to those of you who sent us your addresses and phone numbers that make this possible…we could be at your doorstep soon….*wink*). 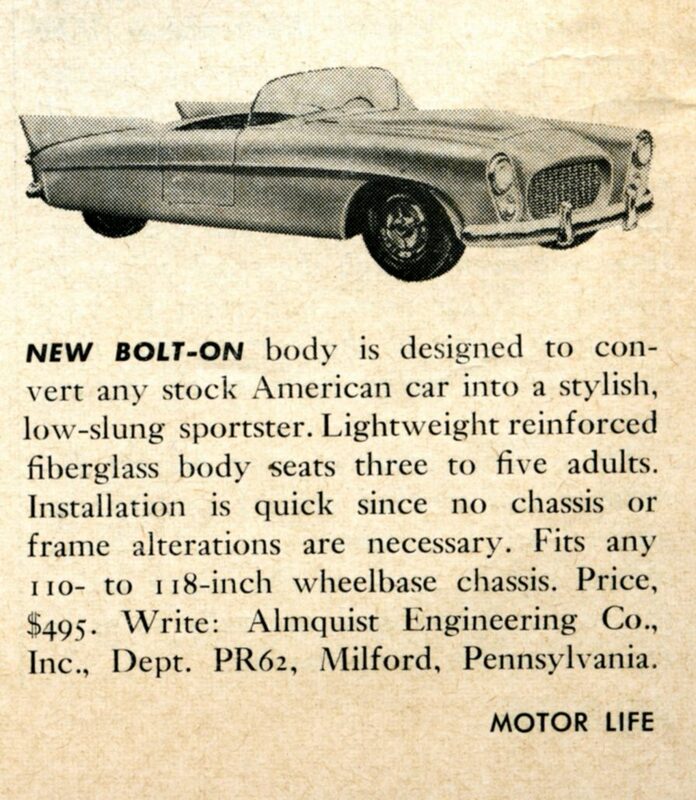 This Announcement Appeared in the August 1960 Issue of Motor Life. You can see the Victress S4 Heritage in the Side Lines of the Car. This time we arrived in Milford Pennsylvania at the invitation of Ed Almquist and his wife Marion – some of the nicest folks you’ll ever meet. And on top of this – it was New Years Eve, 2008. They welcomed us into their home as if we were long-lost family. 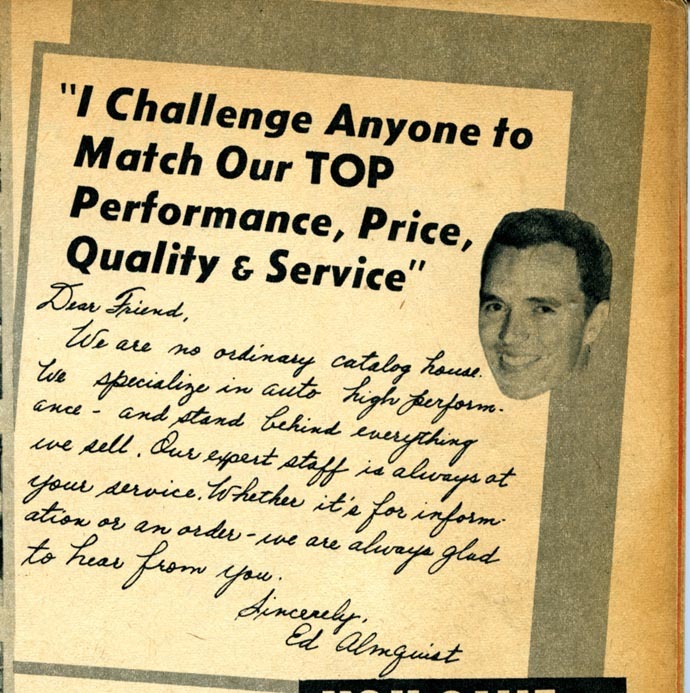 Ed spent much of the evening reviewing the history of his company and key people who designed and built their fiberglass cars, such as Harry Heim (more about Harry Heim and Clearfield Plastics in a future story). And as we reviewed the history of his company, we came to the name of a car completely new to me. The El Morocco. 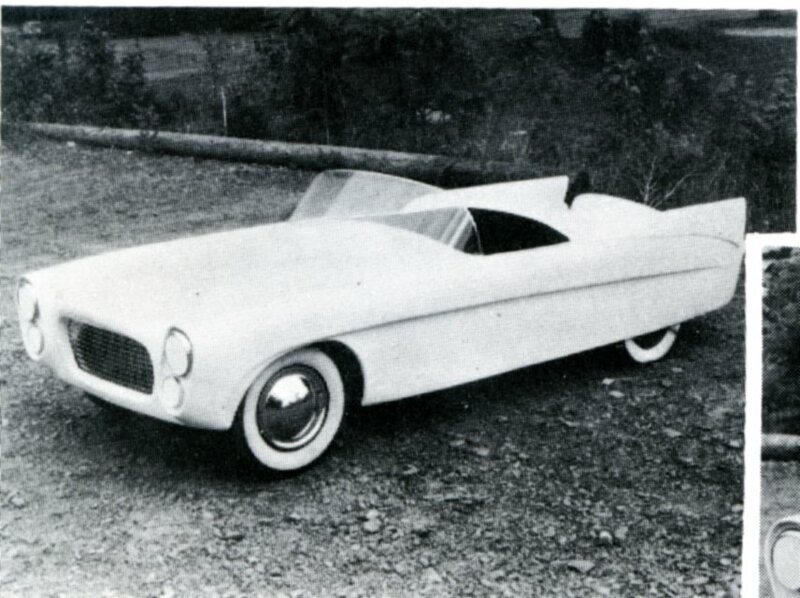 What was this car? Who designed it? How many were sold? Many questions popped into my mind. Ed was ready to oblige with answers – not bad for a guy who was about 85 years old back in 2008. 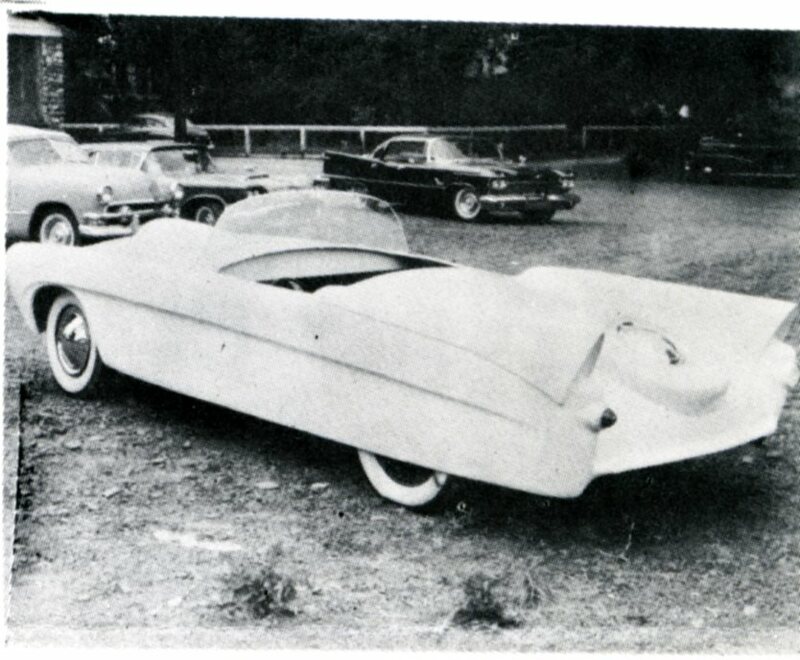 Ed believed that the design would have been something created and/or modified by Harry Heim – his “go to” guy and chief engineer for fiberglass design and construction. Interesting…. Ed also shared that they produced perhaps 3-5 bodies and then destroyed the mold. It wasn’t a big seller for them. Too bad, because it would be a neat car to own today. 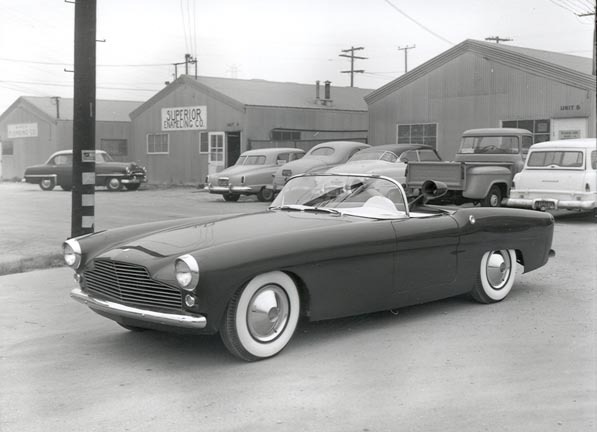 Here’s the First Victress S4 Produced – Shown Newly Minted Outside the Victress Factory in early 1954. Hugh Jorgensen Designed It – A Student at the Art College of Design in Pasadena and Later an Instructor There Too. 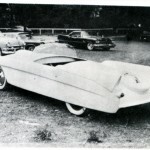 Back in March 2007, Amelia Island Concours d’Elegance was about to feature their first class of vintage fiberglass sports cars. In preparation for this event, fiberglass luminaries such as Merrill Powell from Victress (and his wife Gerianne), Joan Dawes from LaDawri (and her daughter Debbi), and Pat Boyce-Smith from Victress (wife of Doc Boyce-Smith) all enthusiastically participated and flew across the country to be at this event. Merrill and Gerianne stayed with me before Amelia and we had a chance to host a small get-together of fiberglass enthusiasts who were eager to meet them, and this included Marshall Foxworthy and Jon Greuel. It was a fun night! And a night of discovery. 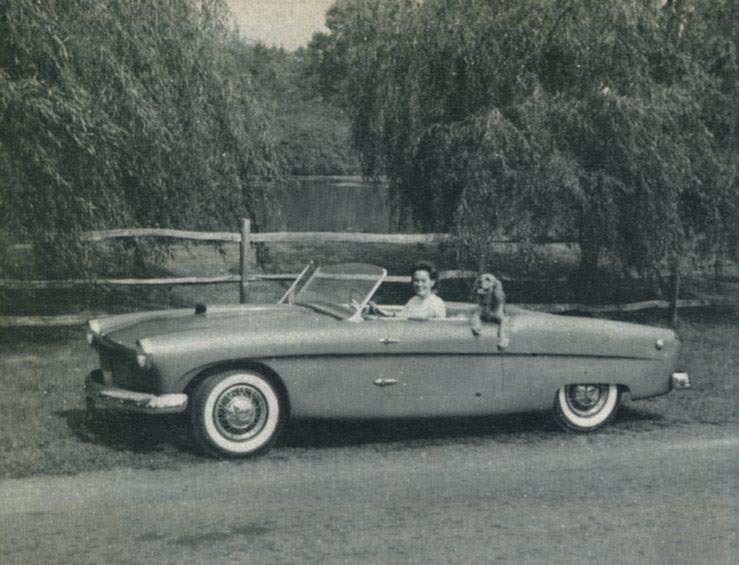 As we were reviewing photos and brochures from fiberglass cars across the 1950’s, Merrill noted something that had escaped my youthful attention (I was just getting started researching fiberglass cars with Rick – hence the “youthful” part of this journey). 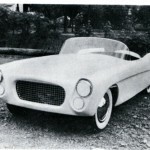 Merrill noticed that the Victress S4 introduced in 1954 by Victress had reappeared in two other forms as other cars. 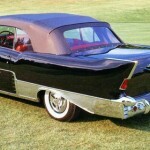 Namely the 1956 US Mark II by the U.S Fiberglass Company of Norwood New Jersey, and the 1960 Almquist El Morocco. Designers do this all the time – borrow from each other on some of the basics of what they like and make some changes to make it their own design. 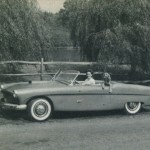 In the case of the 1956 US Mark II – few changes to the Victress were made. 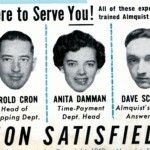 However, Almquist did significantly better and changed quite a bit of the detail – but the basic side lines of the Victress S4 body are still there. 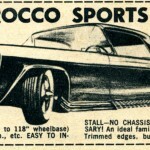 So the Victress S4 – a car that was not made in large quantities (about 25 Victress bodies were produced – less than half of that again when LaDawri bought Victress and renamed the S4 the “Cavalier”) lived on in spirit in two other cars – albeit not too much given the low production numbers of both companies. 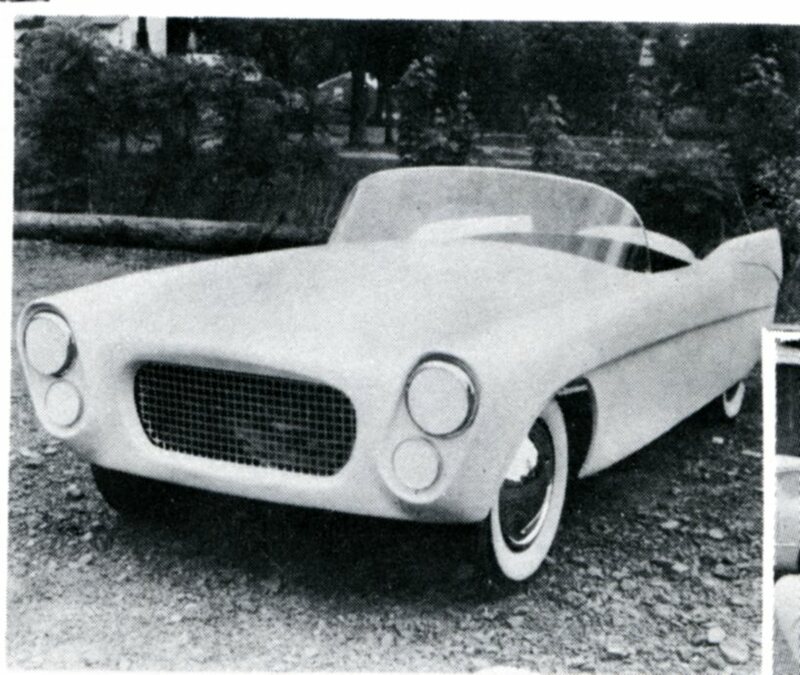 This is a Picture of the U.S. Mark II Made by U.S. Fiberglass of Norwood, New Jersey. 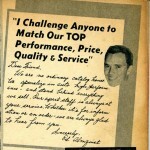 This Picture Appeared in the February 1956 Issue of Ford Times. 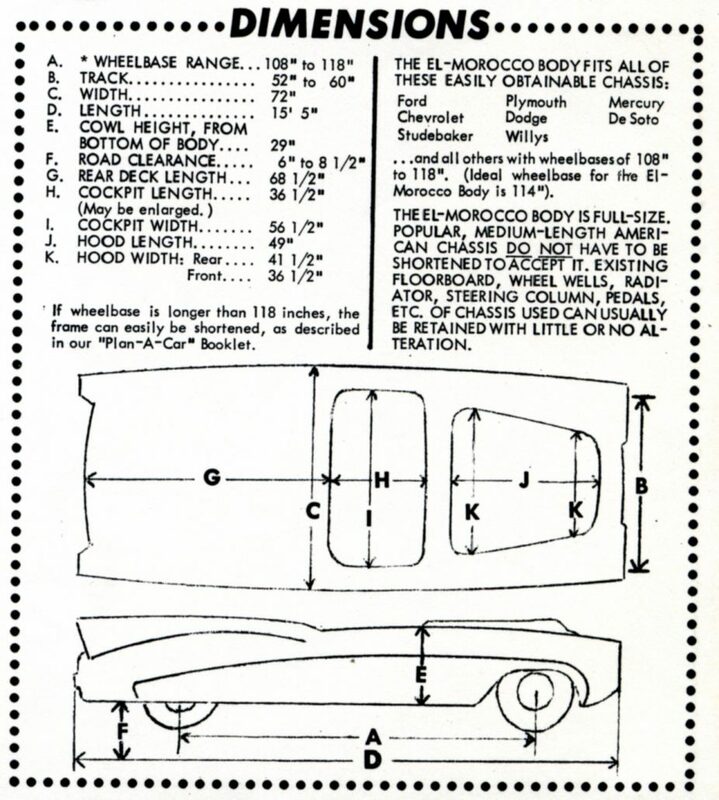 In reviewing Almquist catalogs, the first appearance of the El Morocco body is in their 1959 Spring catalog. Here it is just a stylized drawing and does not resemble the final version of the car in any way. Neat drawing though! 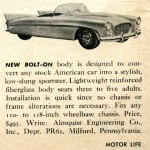 By the Fall 1959 Almquist Catalog, pictures of the finished car start to appear. The last appearance of the El Morocco in an Almquist catalog was in 1962. 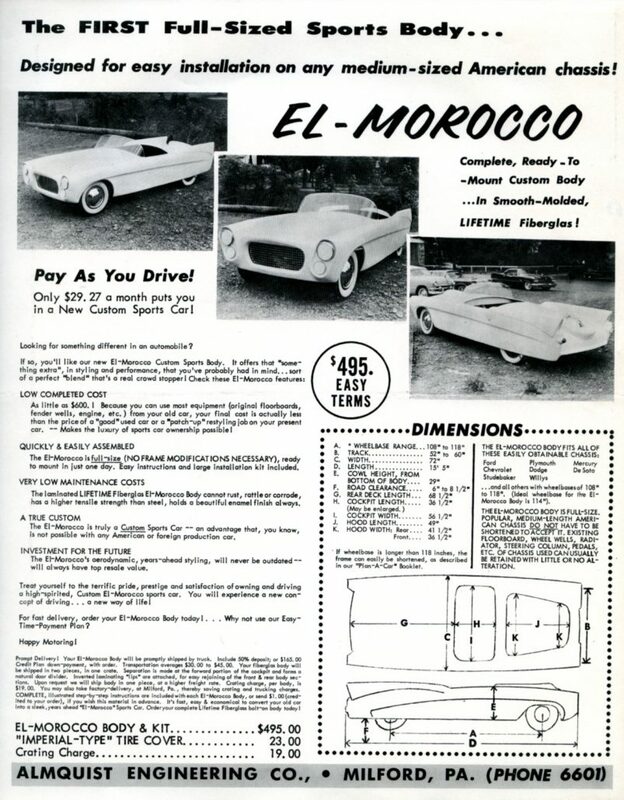 It may also have appeared in 1963, but I’m missing that catalog, but by the time the 1964 Almquist catalog appeared, the El Morocco was missing from the line-up of all of the other fiberglass bodies produced. So production dates appear to be 1959-1962/63. 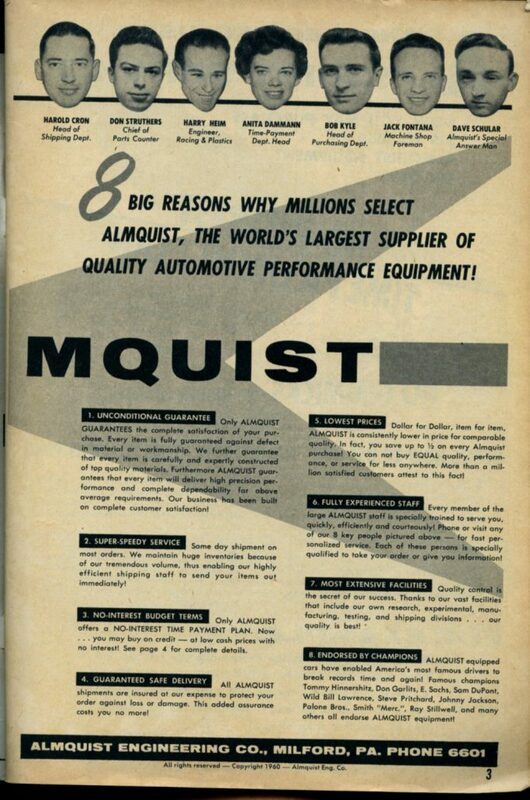 Here’s a Close-Up of the Technical Specifications of the Almquist El Morocco – As Shown in Their Brochure. 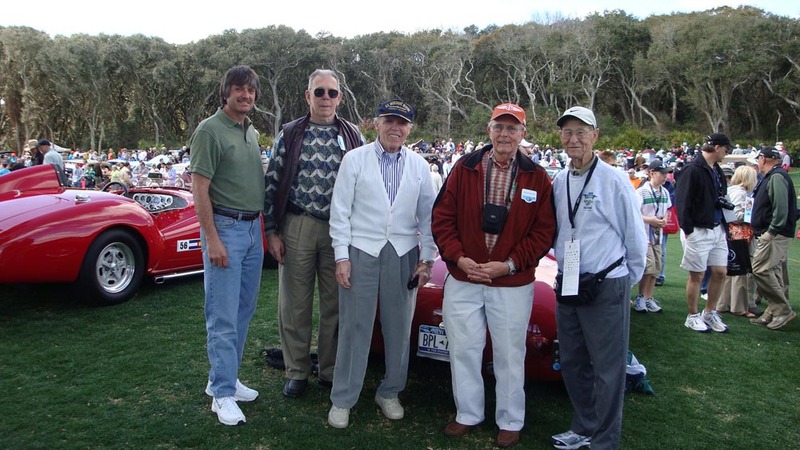 Shown are Steve Cowdin, Roger Adams, Ed Almquist, Clark Mitchell, and a Mystery Man at the Amelia Island Concours d’Elegance in March 2010. 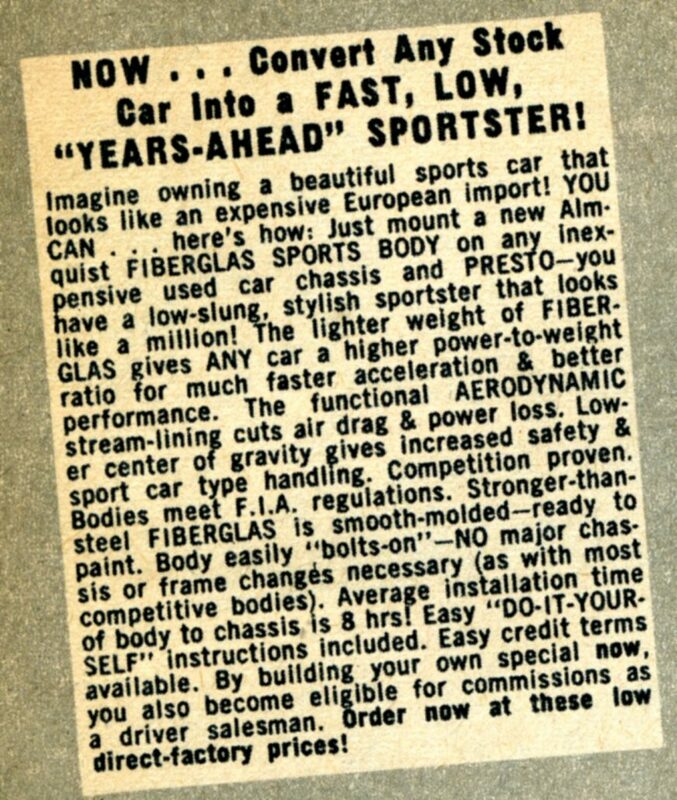 This is important because, in 1954, Victress was trying to expand their market and lessen the amount of work needed to build a sports car. 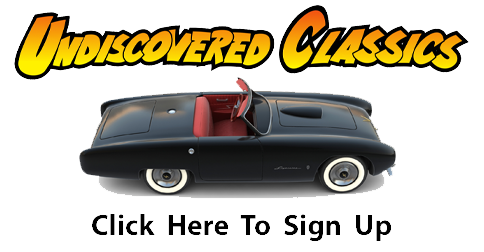 If they could design a car that fit on an existing chassis, then the interested auto enthusiast might be able to reduce their cost and build their sports car even more easily than if they were to choose a typical body built for a 100” wheelbase. It’s true – they could buy a Mameco or other frame pre-built for their car. But this would increase costs and make shipment more difficult too. It was an interesting innovation from Victress to truly accelerate sales – but as noted above, sales still lagged behind expectations. 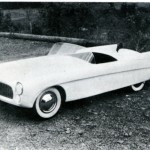 Note: The 1952 Maverick was designed for a 127” Cadillac wheelbase which would have been the original chassis wheelbase and unmodified. 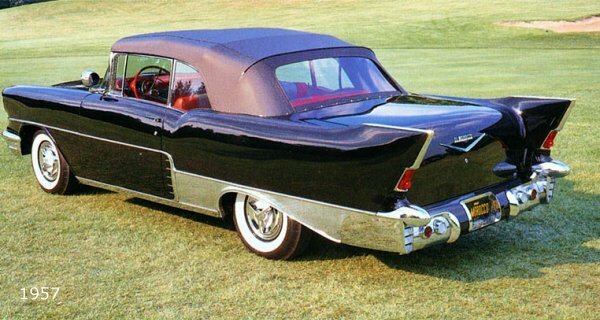 But this was an expensive proposition because it was “Cadillac”, and most if not all Maverick’s sold were built at their Mountain View factory by Sterling Gladwin and his organization: Maverick Motors. 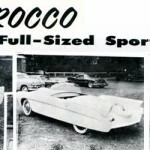 The “Other” El Morocco – Built in 1957 in Limited Quantities (but not related to Almquist in any way). 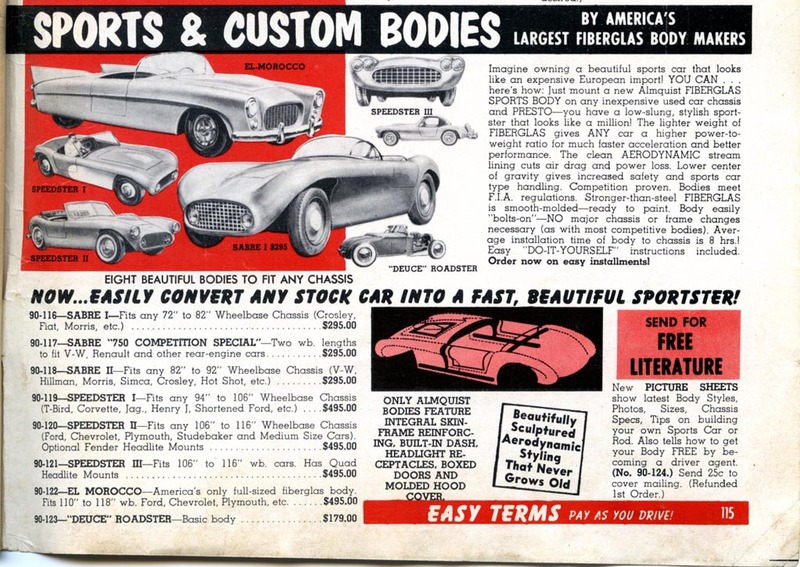 It’s a great article by Harold, and much thanks must be given to him for his continued support of vintage fiberglass sports cars. It sure would be fun to find an El Morocco out there. Rick and I have found a few US Mark II bodies, but no El Moroccos have surfaced. Perhaps it’s because of the design. 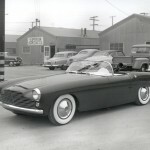 The Victress S4 was new in 1954 – and still fairly new in 1956 when US Fiberglass introduced the US Mark II. 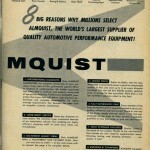 But by 1959, the new Alquist design was perhaps a bit too dated to generate much excitement. 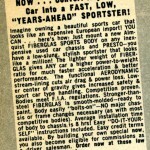 This Announcement Appears in the August 1960 Issue of Motor Life. You can see the Victress S4 Heritage in the Side Lines of the Car. 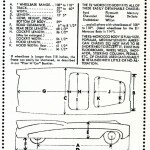 This is a Picture of the U.S. Mark II Made by U.S. Fiberglass of Norwood, New Jersey. 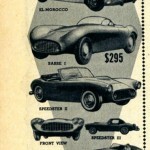 This Picture Appears in the February 1956 Issue of Ford Times. 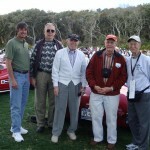 Shown are Steve Cowdin, Roger Adams, Ed Almquist, and Clark Mitchell at the Amelia Island Concours d’Elegance in March 2010. I own a 1959 El Morocco. After doing much research, I am convinced that you should be one of the first to share my enthusiasm and knowledge as I restore this big beautiful bird. I have spoken with Ed Almquist on two occasions in the past year, and he confirms that 3 bodies were built. He does not have any recollection of their whereabouts, though. I will be glad to share my research findings if you so desire. Geoffrey and Rick:I own a 1959 El Morocco. After doing much research, I am convinced that you should be one of the first to share my enthusiasm and knowledge as I restore this big beautiful bird. I have spoken with Ed Almquist on two occasions in the past year, and he confirms that 3 bodies were built. He does not have any recollection of their whereabouts, though. I will be glad to share my research findings if you so desire.